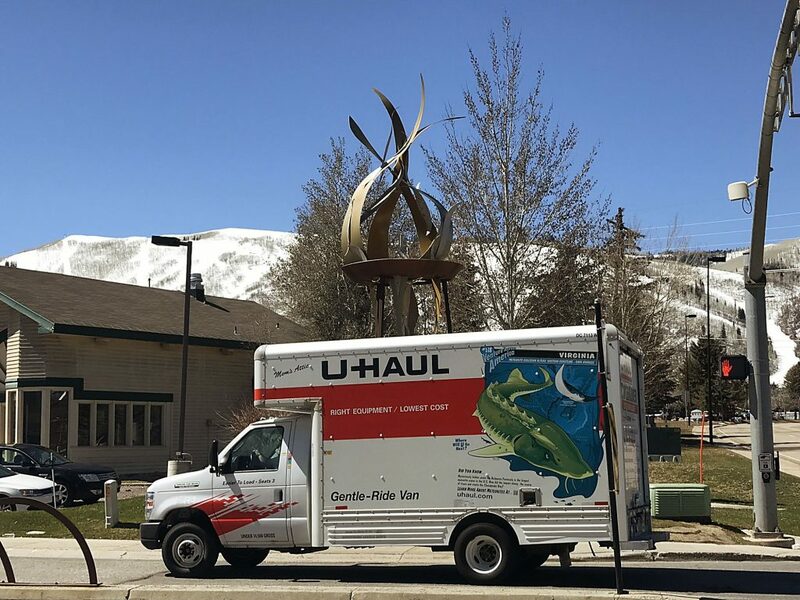 The Park City Police Department last week responded to two reports of moose attracting the attention of drivers. On Sunday, Feb. 26, two moose were seen attempting to cross S.R. 248. The police indicated the animals presented a traffic hazard. Earlier in the week, on Tuesday, Feb. 21 at 3:15 p.m., a moose was sighted somewhere along Park Avenue. The police were told drivers pulled over to watch the animal, creating traffic problems. The Police Department this winter has regularly received reports of wildlife, including moose. The heavy snow earlier in the winter brought animals to lower elevations in search for food. 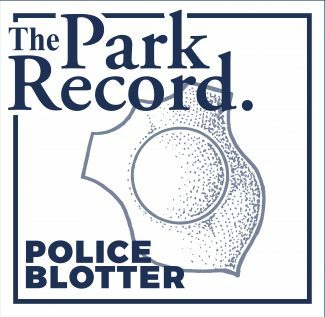 On Sunday, Feb. 26, someone was suspected to be intoxicated on Park Avenue at 1:34 a.m. Public police logs did not provide details. On Saturday, Feb. 25, the Police Department responded to two apparently unrelated cases logged as disturbing the peace within a little more than an hour of each other. The first one was logged at 10:11 p.m. on Royal Street while the later one was reported at 11:25 p.m. on Deer Valley Drive. The police at 12:23 p.m. received a report that a man was seen taking photographs of women and children on Main Street without their knowledge. The Police Department indicated the circumstances were suspicious. At 11:28 a.m., the police were told there were vehicles parked on Empire Avenue that were causing issues. Two of the vehicles were reported to be driven by members of a construction crew. The police were told most of the vehicles did not display a parking permit needed for the location. 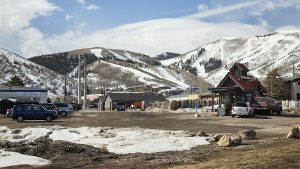 Skis were reported to have been stolen on Marsac Avenue at 10:58 a.m.
A suspected assault was reported on Main Street at 2:28 a.m. Public police logs did not provide details. On Friday, Feb. 24 at 4:50 p.m., a hit-and-run traffic accident was reported on Iron Horse Drive. At 3:51 p.m., the police received a complaint that construction vehicles blocked a driveway on Sampson Avenue. The crew pushed snow back onto a neighboring driveway after the resident had cleared the snow, the police were told. On Thursday, Feb. 23 at 7:36 p.m., two people were reported to be throwing iceballs at cars on Meadows Drive. Someone left a wallet on a counter somewhere along Park Avenue, the police were told at 1:37 p.m. The person said the wallet was gone when they returned. The Police Department logged the case as a suspected theft. On Wednesday, Feb. 22, the police received three reports of auto accidents between 2:29 p.m. and 4:44 p.m., including one on Main Street. Nobody was injured in the accidents, the police said. 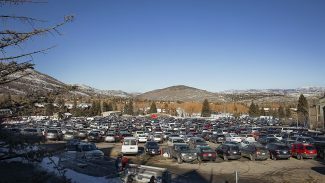 On Tuesday, Feb. 21, an accident on the slopes was reported at 11:01 a.m., several days after the incident. 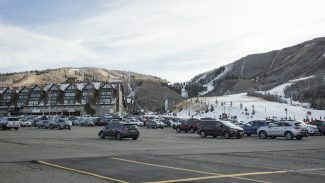 The police were told a snowboarder hit a man. The case was logged on Lowell Avenue. The Police Department logged the case as suspected reckless skiing. At 9:28 a.m., someone reported a wallet may have been stolen on Snow Creek Drive. The wallet disappeared several days prior to the filing of the police report. A vehicle burglary was reported at the intersection of Lucky John Drive and Little Kate Road at 4:50 a.m. Public police logs did not provide details. On Monday, Feb. 20 at 8:01 p.m., someone on Monitor Drive reported hearing a vehicle horn for longer than five minutes before the sound stopped. The police were told the sound may have come from a lower level of a garage. The Police Department said the circumstances were suspicious. A hit-and-run accident was reported in the Iron Horse district at 4:32 p.m. Public police logs did not provide details.